Local Richmond band, My Son the Doctor, has been added to the lineup for the Pre-May Day Show and Celebration at the Wingnut on Friday April 27th at 7pm. They will be joining Snail Party and Jake Mayday to help celebrate International Worker’s Day! Come ready to dance, screenprint a May Day patch with a design by Bizhan Khodabandeh, learn about other May Day events, and celebrate! My Son the Doctor plays an eclectic mix of Eastern European, Balkan, and Mediterranean folk musics, with an emphasis on Yiddish, Hebrew, and Roma traditions. Klezmer dance tunes, Yiddish folk and theater songs, Israeli folk songs, Chassidic songs, Ladino songs, contemporary and traditional Roma songs, and Balkan pop—all with a high-energy approach with elements of rock, African music, and jazz. 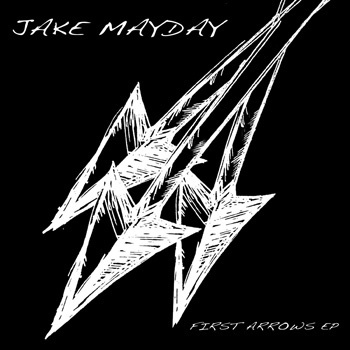 Jake Mayday to play Pre-May Day Show at Wingnut! Richmonder Jake Mayday has agreed to play the April 27th pre-May Day show at the Wingnut. Friday April 27th at 7pm, get pumped for the International Worker’s day, May 1st. Jake will be performing old labor songs to celebrate!